Starting a Yo-Kai Watch catch-all, since 2 just came out. For those of you who may be unaware, Yo-Kai Watch is a series of games/toys/anime from Level-5 and Bandai. It's been called "the next Pokémon" due to their similarities. The main objective is to create teams of spirits called yokai to battle other yokai and... persuade them to join you. In other words, you gotta catch 'em all. I'm going to follow you two. It may inspire me to play the first. The main thing I liked about the first was the "un-Pokemon-ness" of the franchise. Have they undone that with these two versions, or are they significantly different (i.e. one tells a light tale, the other a dark)? I've only played the demo so far, but it seems a lot like the first. My physical copy of Fleshy Souls comes in today. This is the best possible thread title. I'm going to go out on a limb, having yet to fire up the second game, that you are probably best served skipping the first game. Why? Let's dig into that. (1) In the second game, you re-play parts of the first game. Basically this acts as to catch you up on the story and as a tutorial. You are re-introduced to the main characters from the first game (ie. yokai) and some of what happened. Honestly, the story in the first game was more or less "here are Yokai, now collect!" and I was fine with that. Do people play Pokemon for the story? Didn't think so. (2) The map. Yokai Watch 1 had this weird thing where the map, outside of the minimap in the corner of the screen, was completely useless. Now quest objectives better show up on the map and instead of having to dig through menus to find a world map it too iss easily accessible. (3) Speaking of map, Yokai Watch 2 takes place in the same town as the original game. They add new locations outside of the town and also travel back in time. Why get the first when you'll more or less be exploring it again in the second? (4) Tweaks to combat and quality of life. Combat has an extra wrinkle thrown in with a new super move and you can now sprint while riding your bike. Both are welcome though unlikely to change anyone's opinions if you hate the combat or find the presence of a stamina meter while running to be irritating. (The latter is irritating, but has a small gameplay function that crops up every now and again. I give it a small pass, mostly because I constantly stop to collect bugs and fish.) Still, it's easier to get around in the second game and combat is more full. (5) The quests are a bunch of fetch quests. Yes, this is a positive, sorta. The writing is cute and full of puns, which helps keep things engaging, but I skip most of the writing for side quests. Why? Cause there's a bazillion of them and I just don't care that much. Give me your quest so I can find your lost dog and get that sweet, sweet XP and reward. It is a little refreshing that many of the quests are real life things instead of fantastical, though that certainly happens. Instead of killing ten orcs so they drop leather scraps, you're tracking down someone's dad who is late home from work. So, yeah, I'm stretching a negative into a positive here by basically ignoring side quest content. There are so many quests all over the place that they're just one more aspect of the collectathon to me. The main story quests tend to be somewhat enjoyable though, but they aren't exactly fine art. tldr I can't tell you what happened in the first game, so you didn't miss anything, but that's okay in my opinion. I've started going from "why get the second?" to "why get it at all?" so I've probably run out of ideas. The second doesn't fix some of the glaring issues people have with the series (combat, mostly) but it does fix some of the wrinkles from the first. I'd probably go with the second game, unless it's a monetary decision and then I'd say just get the first if you can find it uber cheap. If I had a physical copy I'd send it to you people but I don't. That answered my biggest question, garion. Thanks! I'd also like to go on record and say that combat isn't quite as hands off as it seems in the demos. It takes time to see how you can work the game in your favor via theorycrafting and that generally comes down to what items you equip on the yokai and the attitude of the yokai. Attitudes are what cause a yokai to be more defensive, attack more with their magic or their physical attacks or heal more often. Wait, none of that makes combat more hands on?!? Well, you want to move your ice yokai to do battle against your fire enemies. That sort of thing. Even though the game is easy, there are tough battles and making sure you are best utilizing the team of yokai you put together is the key to winning tough battles. As is knowing what their individual super moves are as some heal while others attack and yet others put enemies to sleep. At the end of the day most of the strategy is handled outside of battle and you can completely ignore it if you want by putting a bunch of powerful yokai together and steamroll most battles. And the boss battles are where the system really shines, though. So it's about like a Final Fantasy game. Pretty much. They flip the script a lot in the boss battles, forcing you to change targets constantly, make sure you're not hitting things, etc. The title of this thread is my favourite fanfic. And yet this game gets tagged as being too easy and on auto-pilot because it doesn't make you hold down A to select your same spells and attacks. Gamers are weird. I... can't really argue with that point, though, because we're talking about maybe 10 battles across the first game that were really interesting mechanically. The trash mob battles are all pretty boring. Related, but in Demon Gaze on Vita you had the option of hitting the Triangle button and it "auto-ran" your entire party's last set of moves again. It was very helpful in the longer, drawn out, battles. I'm sad they didn't go with "Dee and garion do Yo-Kai Watch Deux"
So it's like Final Fantasy XIII. Yeah, I made that connection, too. Especially with the talk about Attitudes. ...Holy stereotypes, Batman! The Apelican is something else! 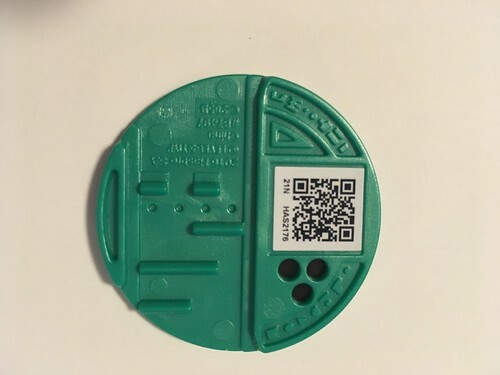 SpotPass gave a code for a coin. MYFR13NDS - cash it in at the post office. I haven't gotten it to work yet, but maybe I need to try a different teller. EDIT: Reddit says Nintendo forgot a character; add an exclamation point so it's MYFR13NDS! Enter it at the middle teller. EDIT2: Reddit thread with a huge list of passwords Level-5 made the redditor delete the list. Back to the first it is. I was enjoying it, just got sidetracked by other things. By the time the second reaches our shores, my son will probably be old enough to be introduced to my n3ds and reading should have got to the point can get by in the game. He doesn't know it exists at the moment, it'll probably blow his mind as he loves the animated series (so much so, even I know the theme tune word for word) and good on him, he stuck to saving his pennies for a few good months to purchase the watch and some medals. Bubblefuzz, Australia has a release date of October 15, after you sure you're not getting it in the UK for another 6 months? From info I thought I'd seen due EU in spring... Quick search to check, yep Q2 2017, same search result shows your Oct au date... Just looks like we're well behind. I'm also sat out in the cold, pressing my nose against the window as I look in at all the happy people playing Yokai 2. Really like 1 despite its flaws. Such a cute, fun, upbeat game with enough of an undertone to prevent it from becoming saccharine. I managed to sell a friend on it by describing my depression monster party and the dancing old men in the first boss battle. Our release delay is likely courtesy of the lengthy delay we had with 1. IIRC Australia got that one 8 months ahead of Europe, and the US 6 months. I'll be reading the impressions here with interest. The only review I've seen so far was from someone who didn't like the first game much either. I really hope for your sakes, there's a British version of Apelican. 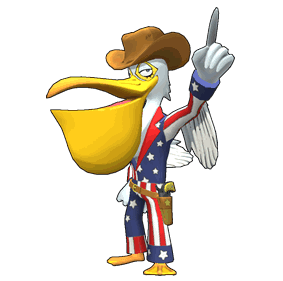 Apelican is literally a star-spangled pelican who shouts "yes we can," and buffs all stats for allies. Because of course. I want a Union Jack-wearing butler to serve up some tea and crumpets. I don't even know what a Yo-Kai Watch is, but I clicked on this thread thinking you guys were going to be doing a video stream or something. Sorry, no. I wish. It costs around $300 to modify a 3DS to allow for video streaming. I'm not willing to shell out the dough until I see what the NX is all about and whether it will make the 3DS obsolete. The thread is named such because Garion and I seem to be the only ones here who are hung-ho about the game. I know one other person had it down for GOTY, but I don't remember who. Waiting for my copy of Fleshy Souls to arrive from Amazon. Was tempted to download Bony Spirits, though. Which copy do you have, garion? BTW, started a catch-all, which I expect to be comprised of just the two of us. I ended up with Fleshy Spirits because I'm likely to get a physical copy of Bony Souls for the kid. I've put in a few hours this weekend even though my mom is in town visiting. There's a ton of (minor) things they've changed from the first game I didn't see anyone talking about but that I appreciate and feel like I can see the devs' thinking behind the changes. I'm especially happy they've moved some tutorials earlier (like attitudes) just so stuff is put in the games sooner. I really wish they'd give the damn bike earlier. So do I, considering I'm running back and forth between towns. You really can't do much in a day without a bike, even with Mirapo. I thought you got the bike before gaining access to Mirapo in the first game. Another thing: weren't Nate and Katie in the fifth grade for the first game? She definitely is in class 5-2 in Yo-Kai Watch 2, which would mean both games take place in the same summer vacation. Whisper mentioned at the end of the first game that summer vacation was really long. Boy was he not kidding! Edit: I mean that I got Fleshy Souls. I thought the bony cover looked a little too creepy. Have you added me as a 3DS friend yet? Can we figure out how to trade (especially once you get Bony Spirits)?